Jupa is a solution provider to the international oil & gas industry. 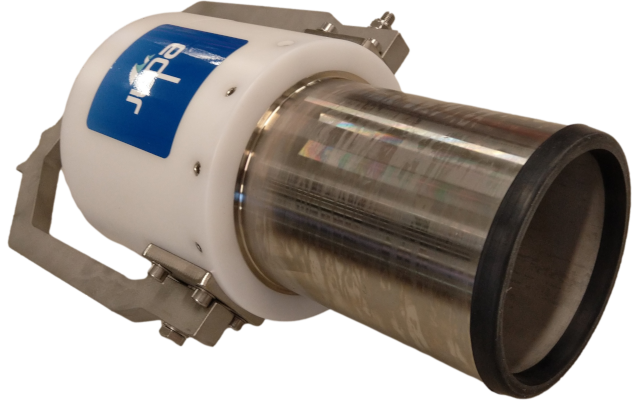 Our innovative way of acid cleaning subsea assets has already become a hit in the North Sea. Explore the SolidCitric concept and product range below! 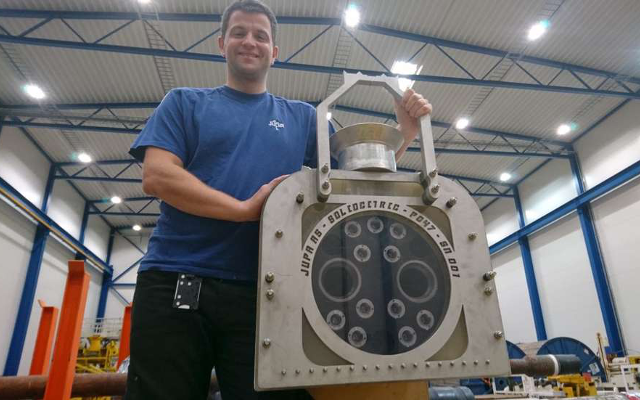 The patented SolidCitric concept from Jupa has changed how to deal with the subsea acid cleaning task. Gone and forgotten are hoses from deck and compensators on the ROVs. 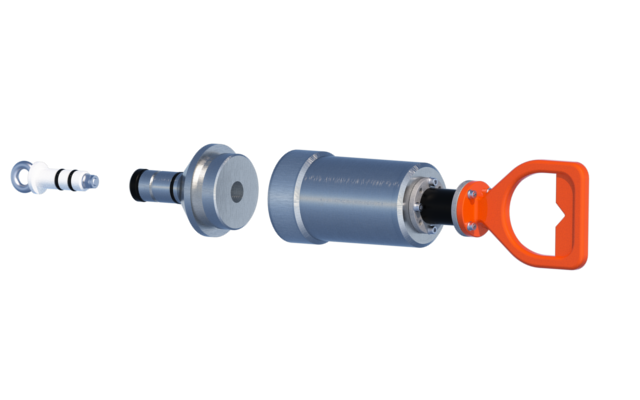 The ROV installs an adapter on the subsea interface and then fits the SolidCitric cartridge to the adapter. When the acid dissolves, it flows downwards and displaces / saturates the raw seawater entrapped within the adapter. 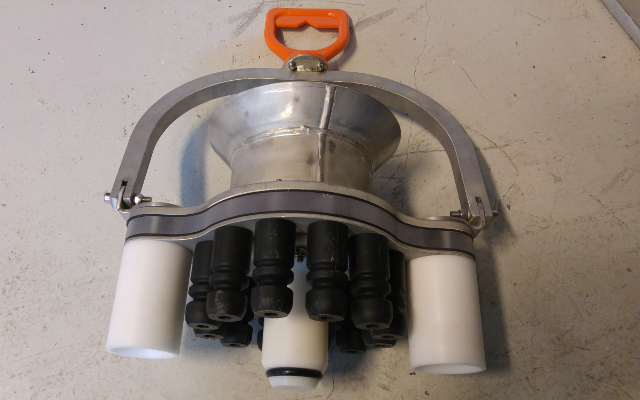 When the cleaning is finished and the adapter removed, it is sufficient to merely water jet the subsea interface in order to get rid of loosened limescale and rust. 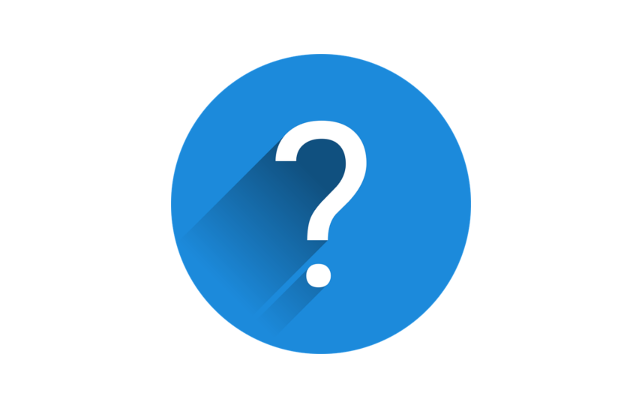 Please also read our FAQ sheet. Install adapter and SolidCitric cartridge on interface. This is where the money is saved! Let the acid work on its own while you do other useful things with your vessel/rig/ROV elsewehere. Remove adapter from interface. Blow away loose debris with ROV waterjet. Finished! 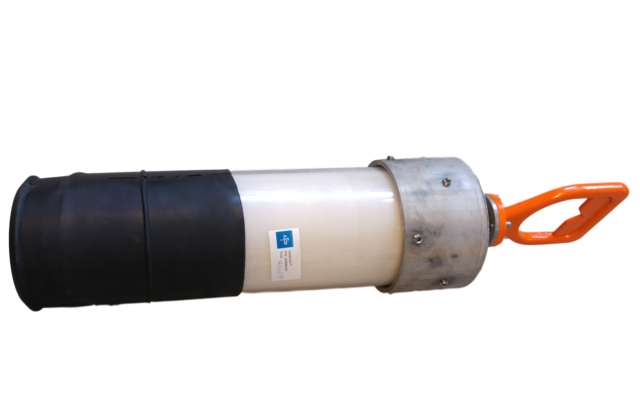 We have a wide range of interface adapters and cartridges ready for dealing with your subsea acid cleaning task. Use the navigation buttons and click on the different products for more info. If you don’t find what you are looking for then please contact us and we will assist you with a free quote for a tailor-made solution! 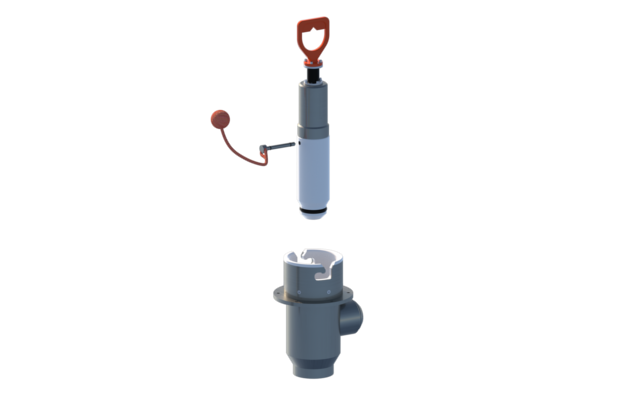 This adapter is designed for acid treating TechnipFMC MQC13 Mk1 receptacles. Soft rubber caps seal around the hydraulic connectors and enables a very efficient acid treatment. 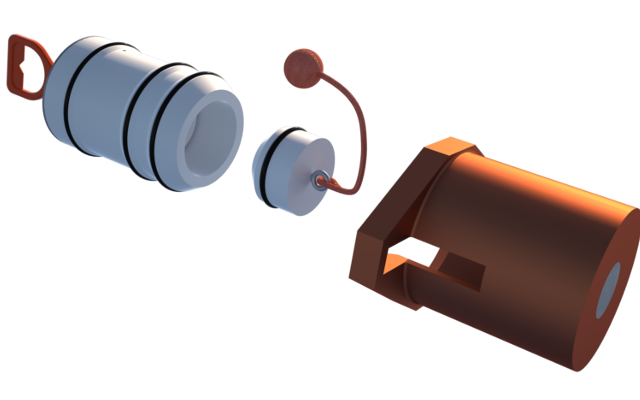 The adapter has a snap lock function with the fingers in centre of the adapter made from the engineering polymer PEEK. 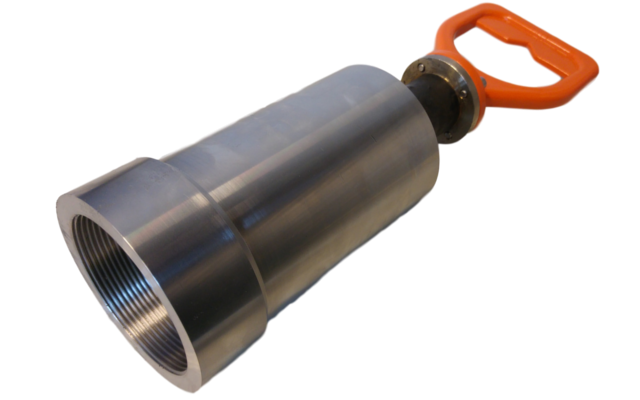 This adapter is designed for acid treating a vertical OneSubsea (Ex. Cameron) tree cap stinger. 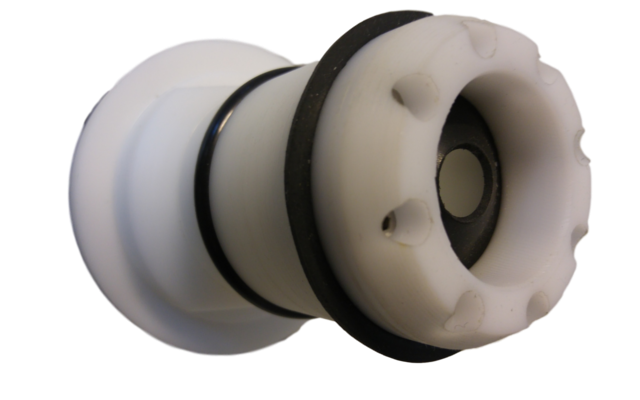 The adapter seals around the stinger base and also cleans the inner wall of the hub. The design enables a very efficient acid treatment. 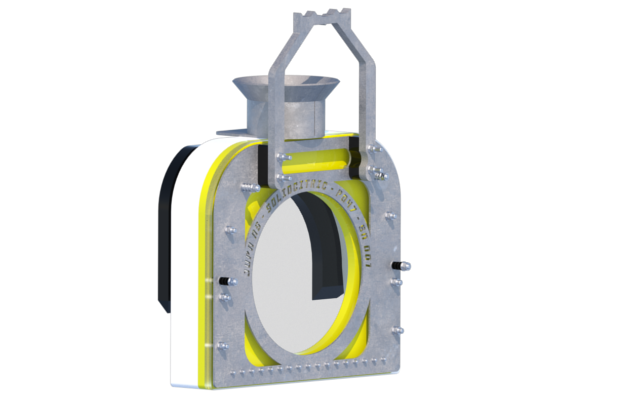 This adapter is designed for acid treating TechnipFMC MQC13 Mk2 receptacles. Soft rubber caps seal around the hydraulic connectors and enables a very efficient acid treatment. The adapter has a snap lock function with the fingers in centre of the adapter made from the engineering polymer PEEK. 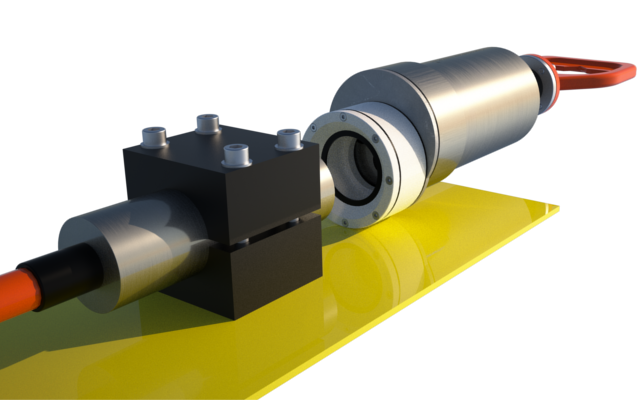 This adapter is designed for acid treating a vertical OneSubsea (Ex. Cameron) MQC interface. 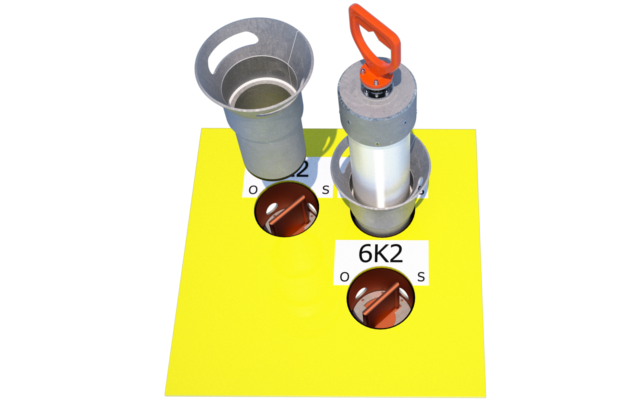 Vacant snaptite coupler positions are identified and blinded off under adapter prior to installation. 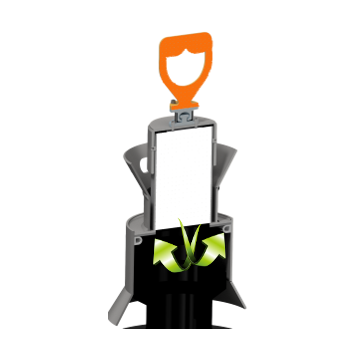 It is compatible with our standard 6 and 12 kg SolidCitric cartridges. 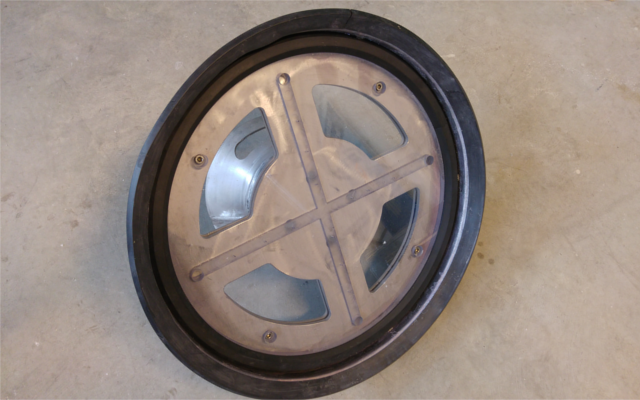 This adapter is designed for cleaning 18 ¾’’ hubs using SolidCitric. Various interface inserts can be mounted to the adapter in order to fit any 18 ¾’’ configuration. 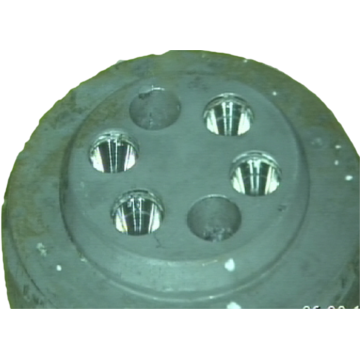 The tool is fitted with two SolidCitric cartridge slots if a large volume is required to be saturated. 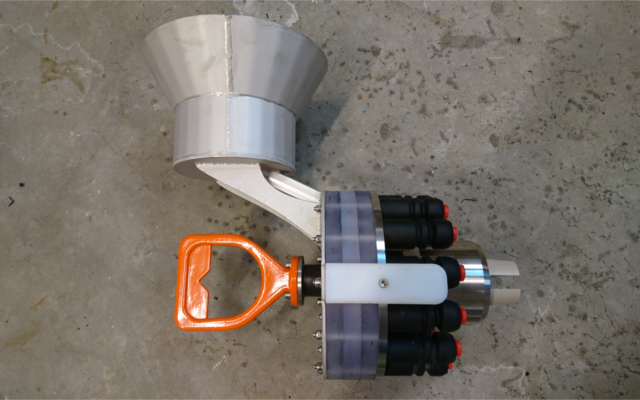 This tool is used to handle the 1,3kg SolidCitric cartridges with the ROV. 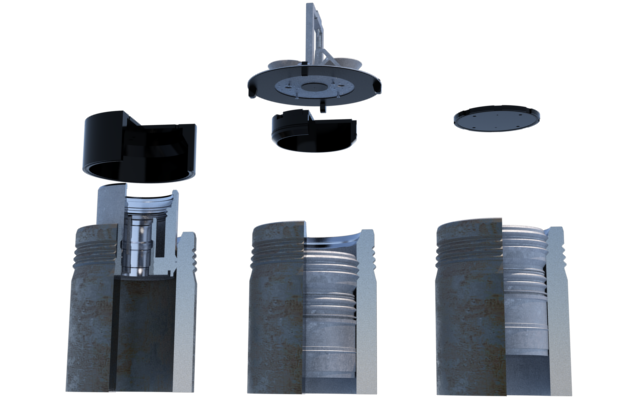 The SolidCitric cartridge is inserted into the handling adapter and a dedicated nose adapter for the interface to be cleaned is then mounted to the mini handling adapter. 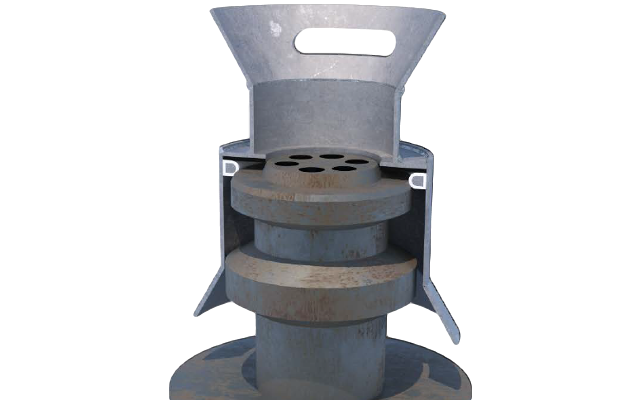 This adapter is designed for acid cleaning of 4'' TechnipFMC Tree Cap (TC) hubs. 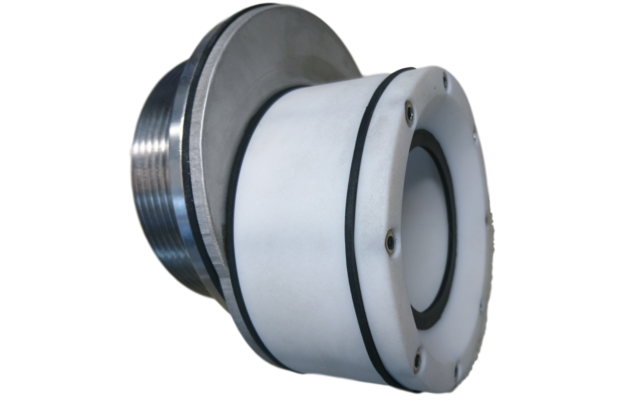 The adapter has a simple construction with internal seals for providing an efficient and localised acid treatment of 4'' TC hubs. The SolidCitric cartridge is inserted into the top of the adapter. 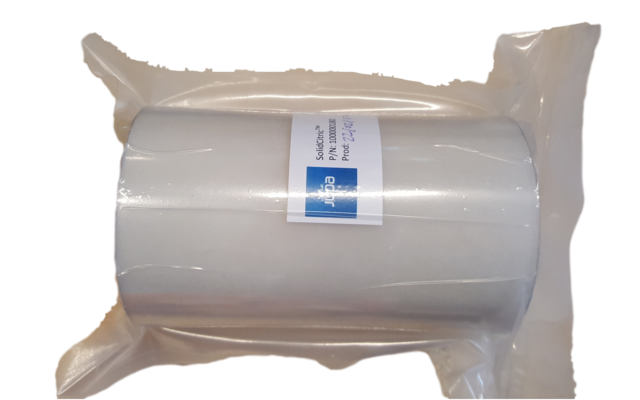 This adapter enables cleaning of vertical API 17H Cl.1 to Cl.4 valves or vertical 3/8’’ manip valves using a standard 6kg or 12kg SolidCitric cartridge. This adapter enables cleaning of a (vertical) 2'' Moffat receptacle. 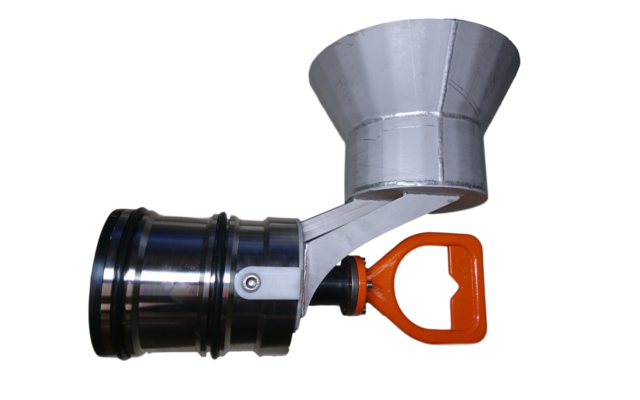 The nose adapter must be used in conjunction with the MINI Handling Adapter (P/N P037) and 1,3kg SolidCitric cartridge (P/N 100000180). Either the included parking receptacle or the seal pin may be used to keep acid from dissolving prior to installation. This adapter enables cleaning of a (vertical) 4'' Moffat receptacle. A sealing pin is used to keep acid from dissolving prior to installation. 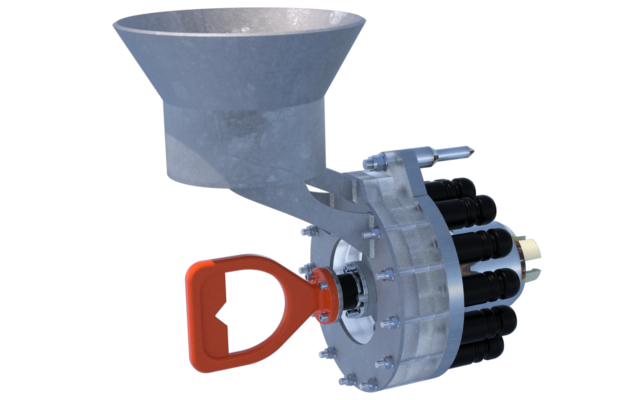 This nose adapter is designed for acid cleaning of Single Line Connectors. 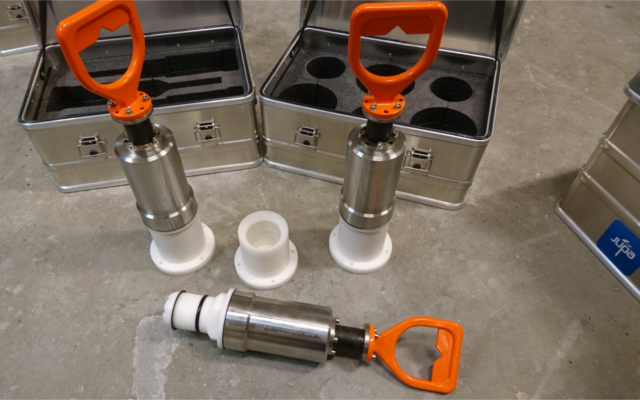 The nose adapter must be used in conjunction with the MINI Handling Adapter (P/N P037) and 1,3kg SolidCitric cartridge (P/N 100000180). 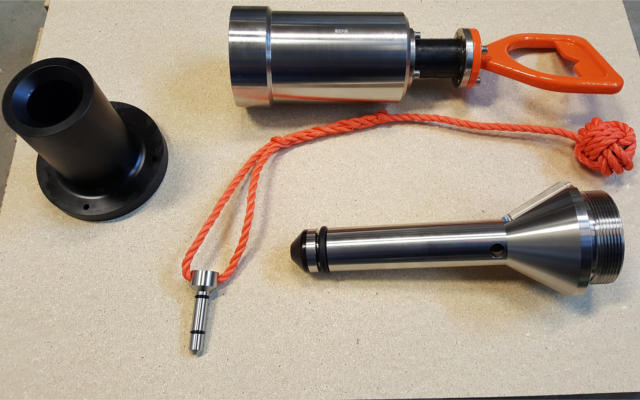 A parking receptacle for bolting onto the ROV or basket is included with this tool. 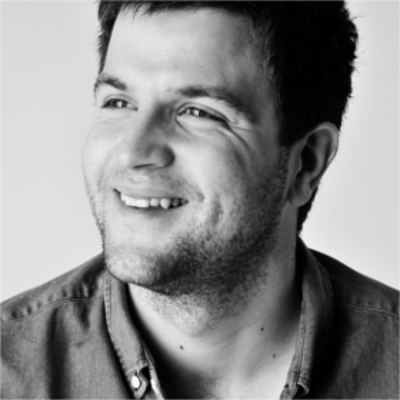 This adapter enables cleaning of horizontal or vertical API 17H Cl. 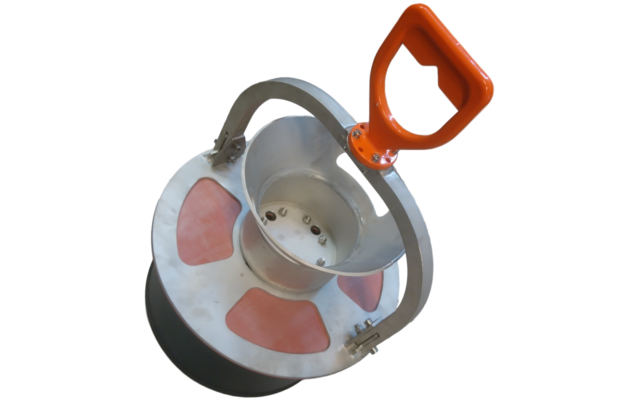 1-4 valve buckets using a standard 6kg or 12kg SolidCitric cartridge. 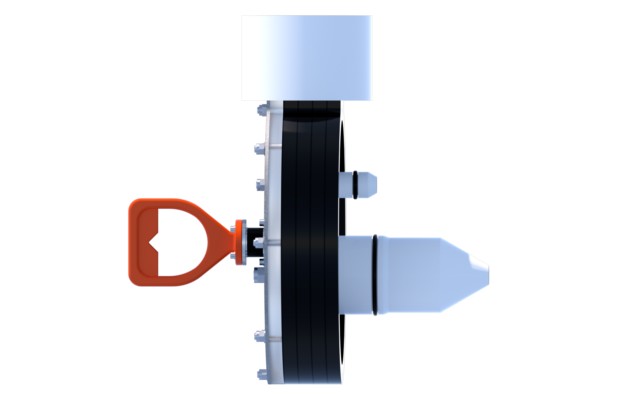 The valve rubber adapter is fitted around the SolidCitric cartridge on deck in order to provide a fit into API 17H Cl. 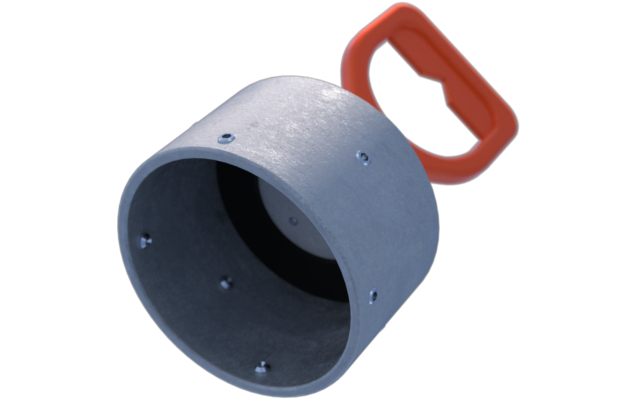 1-4 valve buckets. Note that this adapter will not fit on a 3/8'' manip valve interface. 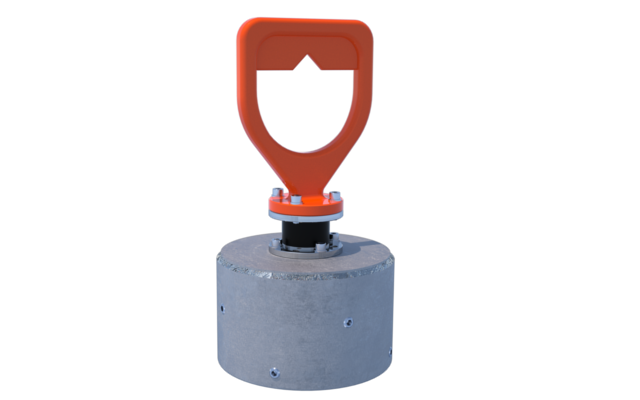 This tool is used to handle the SolidCitric cartridges with the ROV. 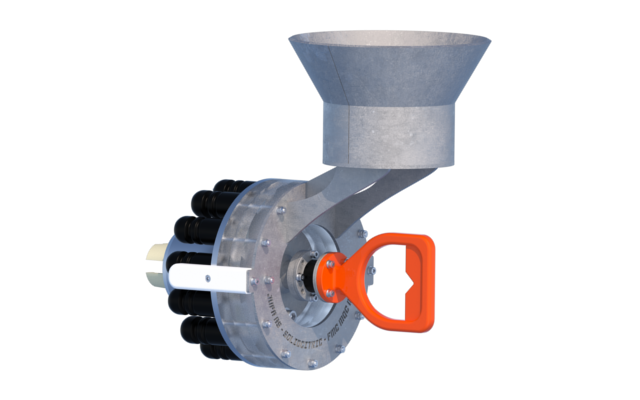 The tool comprises a D-handle and a flexjoint which is mounted on a closed end pipe section. 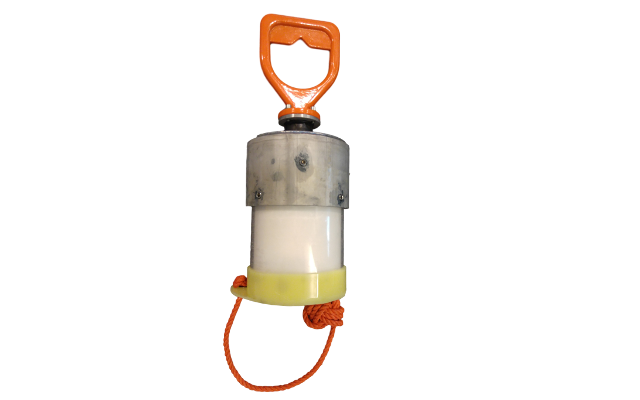 The SolidCitric cartridge is inserted into the handling adapter and is fastened by tightening a number of set screws. 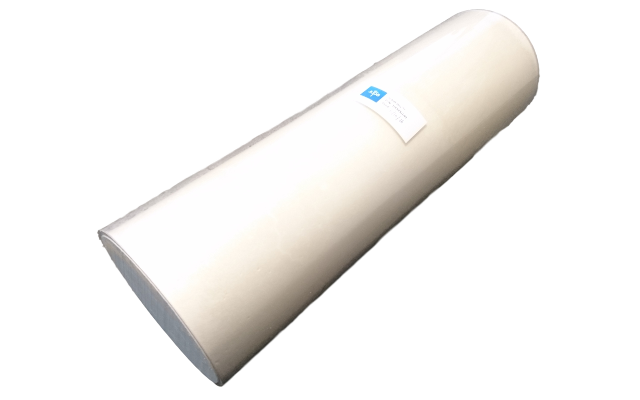 An internal neoprene seal in the handling adapter ensures that no acid becomes washed out. 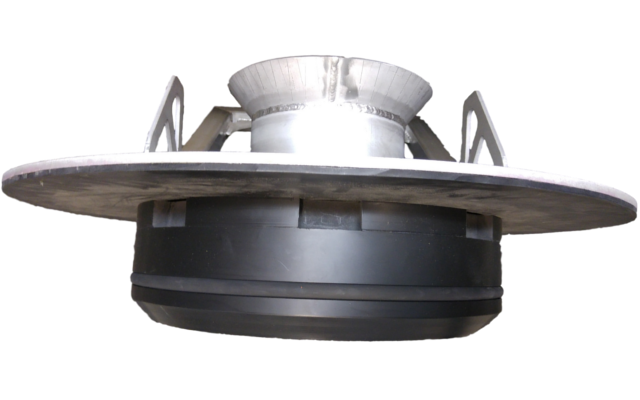 This adapter is designed for cleaning TechnipFMC KC4-10 hub. It is installed horizontally onto the hub from the front. 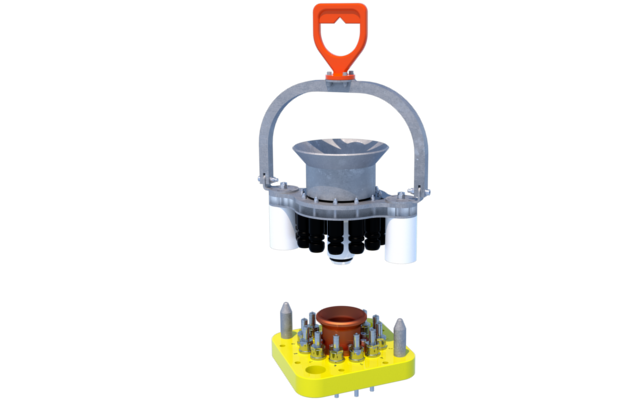 This horse shoe adapter is designed for cleaning the horizontal OneSubsea (Ex. 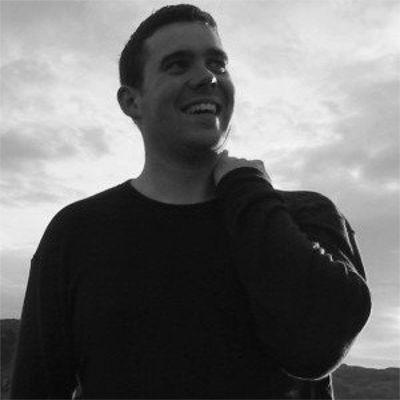 Cameron) - Snorre UPA manifold hub. It is installed vertically onto the hub from the top. 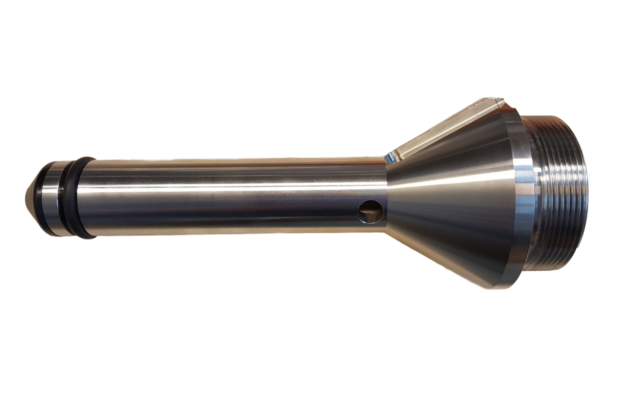 This nose adapter was designed for cleaning a HCLD sensor head with a 62mm OD. 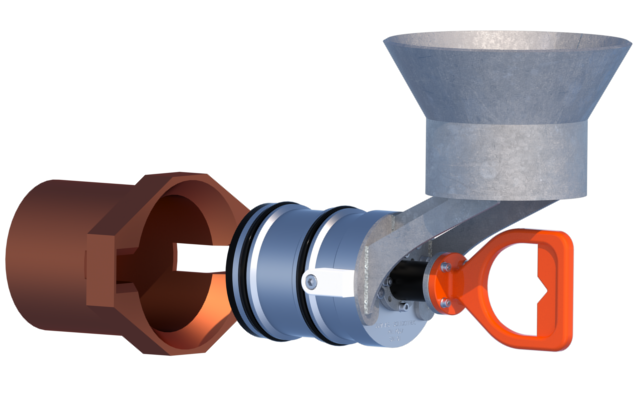 A sealing plug is placed in the nose to keep acid from dissolving prior to installation. 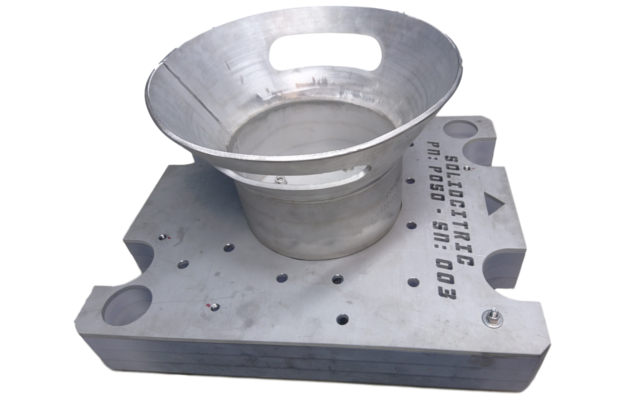 This adapter is designed for cleaning TechnipFMC 12’’ Wing Hub using SolidCitric. 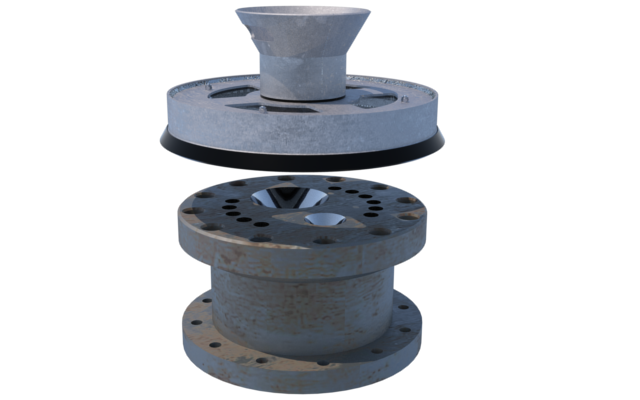 The tool can also be used to clean TechnipFMC 13 5/8’’ re-entry hubs and choke bridge hubs. This adapter is designed for cleaning API 17H Cl. 6 receptacles. 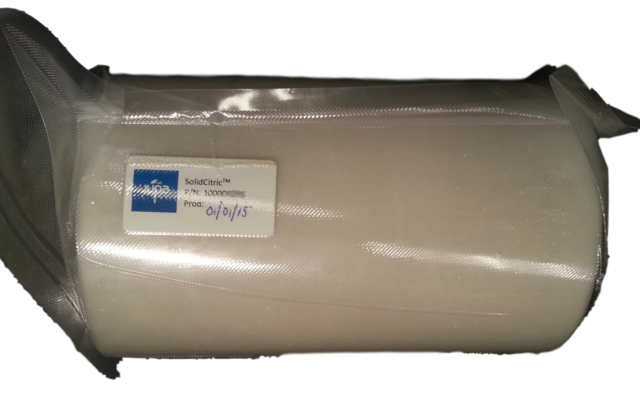 It is compatible with our standard 6 kg SolidCitric cartridges. 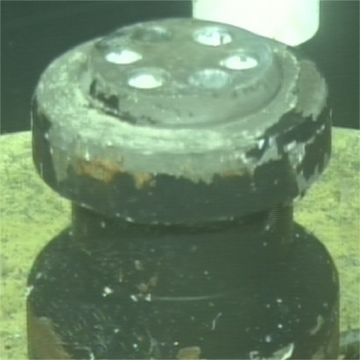 A sealing plug is removed with ROV prior to installation. 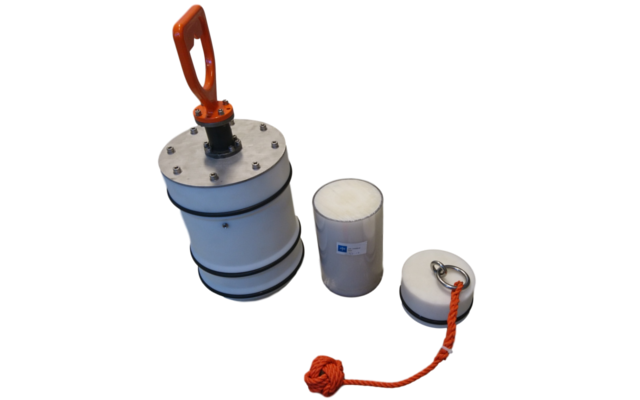 This adapter is designed for cleaning a TechnipFMC vertical Norne MQC. This adapter is designed for cleaning a 4 or 7 pin Siemens "Tronic" receptacle. 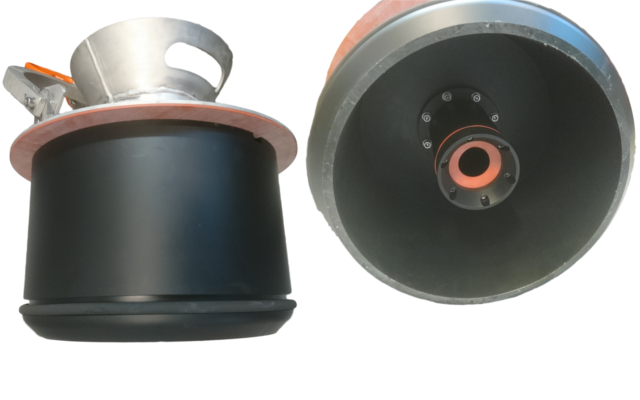 The nose adapter must be used in conjunction with the MINI Handling Adapter (P/N P037) and 1,3kg SolidCitric cartridge (P/N 100000180). 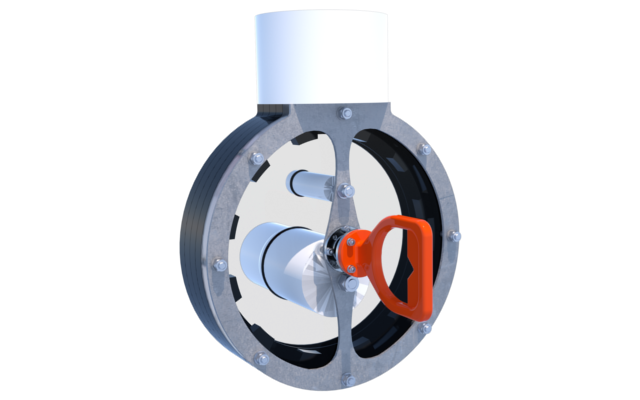 An ROV removable nose sealing pin is included. 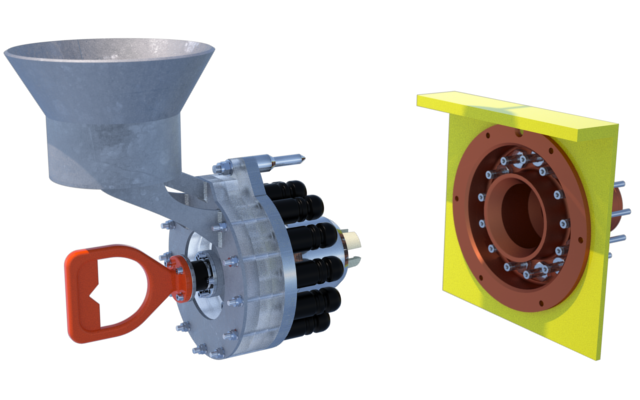 We are ready to assist with designing and fabricating the adapter you need for your application. 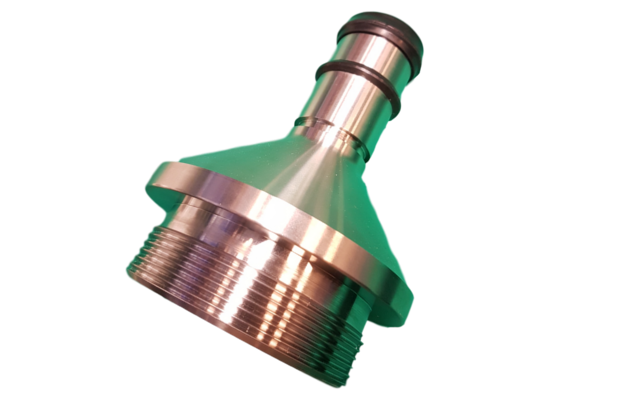 Alternatively, you may choose to make this adapter yourself to fit with a standard SolidCitric cartridge from our assortment. Please contact us and we will find the best solution! 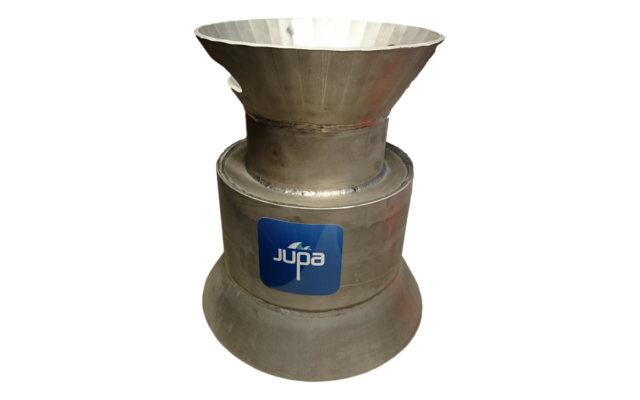 Founded in 2012, Jupa is a Norway based privately owned solution provider to the international oil & gas industry. 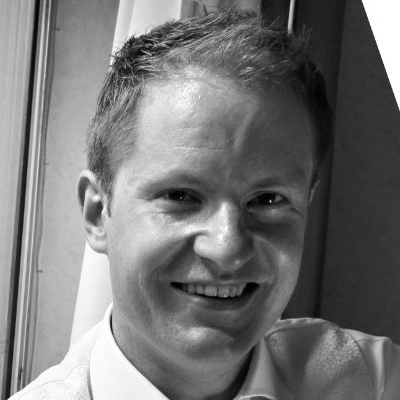 Jupa comprises highly skilled subsea engineers with background from Statoil and Subsea 7. Jupa means "a great depth in the sea" when spoken in the West-coast area of Sunnmøre, Norway. Despite harsh weather and an unforgiving sea, small communities along the Norwegian coast have accomplished great achievements through hard work and relentless creativity. This is our heritage and we shall strive to work, behave, and build our company culture based on these same values. In Jupa, we have high focus on reviewing our produced documentation and designs in order to ensure that they are practical, to-the-point, and easy to understand. Our main goal is to ensure that our procedures and products cause zero harm to personnel and the environment, and no damage to equipment. Jupa has developed a quality management system, which helps us to stay on track while doing this, for every project. Feedback from customers and personnel offshore is also highly valued and helps us maintain a continuous improvement.